Goh, E. (Ed.). (2016). Rising China's Influence in Developing Asia. Oxford University Press. "Rising China has been reshaping world order for the last two decades, but this volume argues that we cannot accurately understand rising China's global impacts without first investigating whether and how its growing power resources are translated into actual influence over other states' choices and policies. Concentrating on the developing countries in East and South Asia, where the power asymmetry is greatest and China ought to have the biggest influence, the volume investigates China's influence in bilateral relationships, and on key political actors from these countries within key issue areas and international institutions. ..."
King, A. (2016). 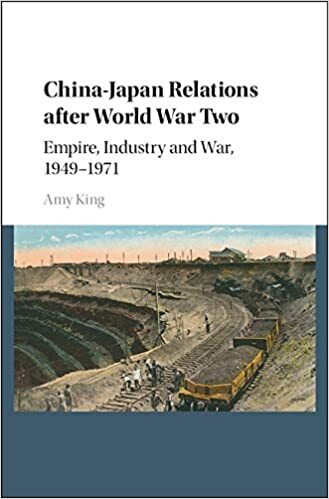 China-Japan Relations after World War Two: Empire, Industry and War, 1949–1971. Cambridge University Press.
" A rich account of how and why China rebuilt its economic relationship with Japan so soon after the devastating experience of World War Two. King argues that the period between 1949 and 1971 was an important moment of non-Western modernisation stemming from the legacy of the Japanese empire, industry and war in China."